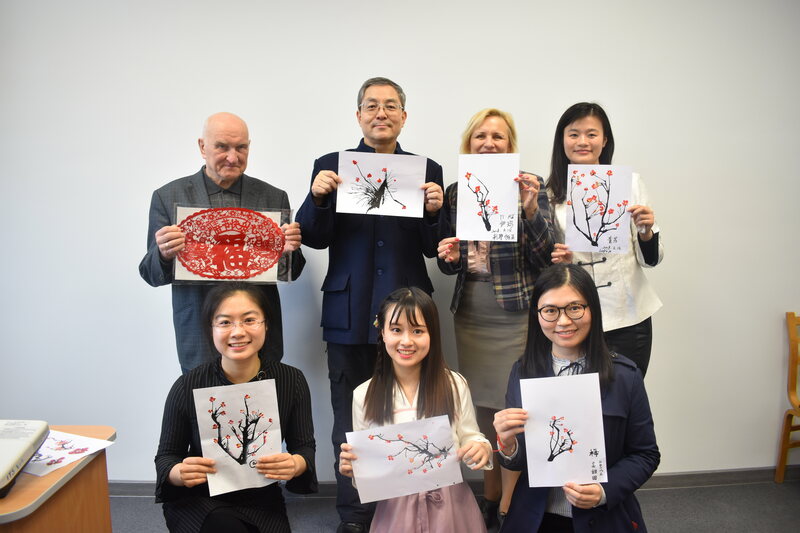 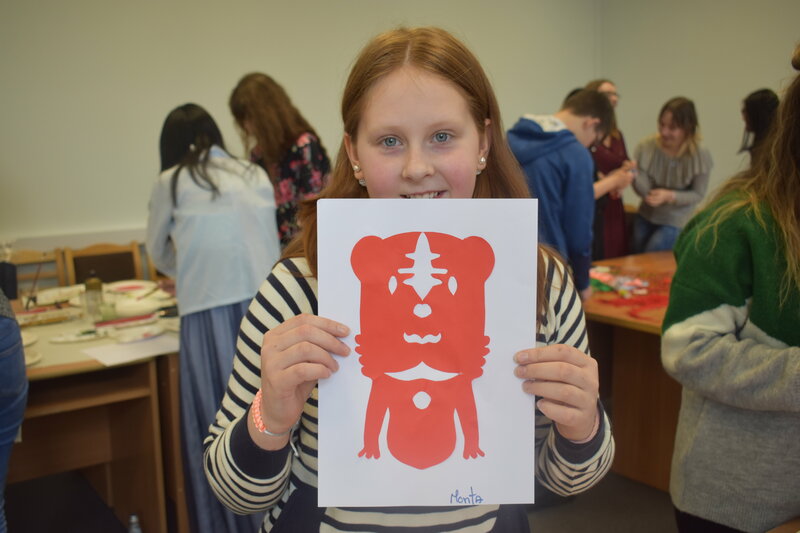 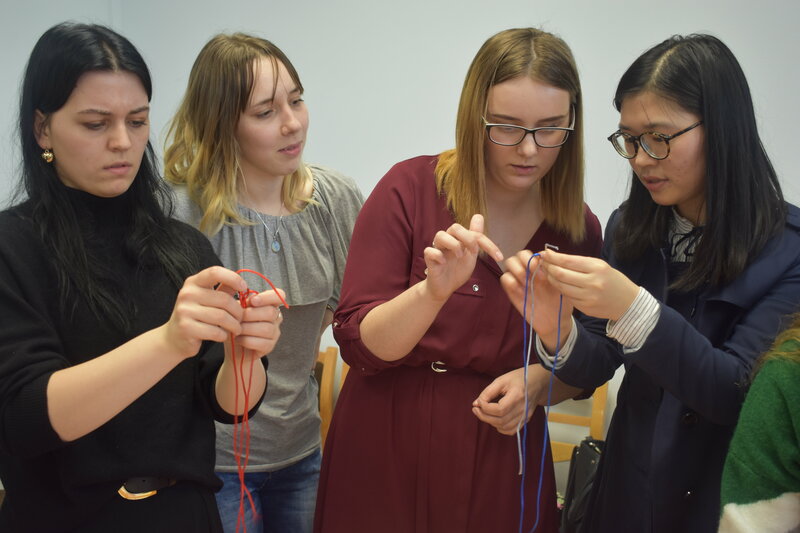 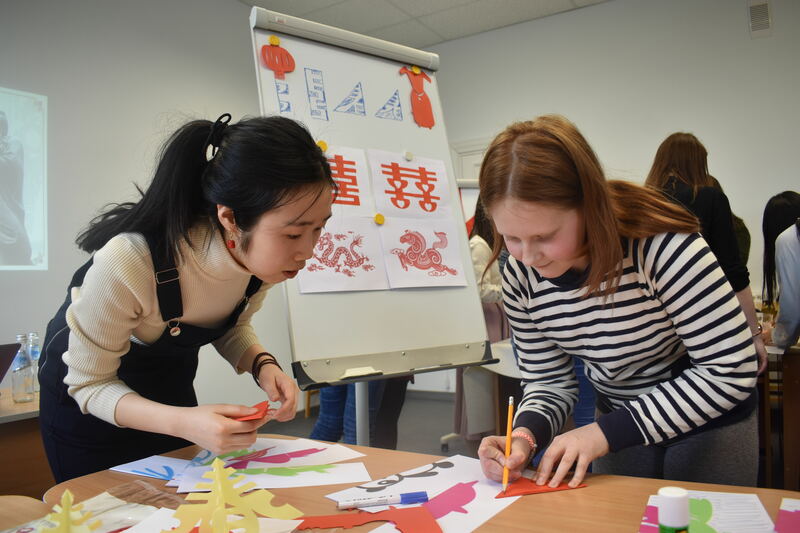 On March 14th ，Confucius Institute at the University of Latvia was invited by Liepaja University to hold a Chinese Culture Day activity. 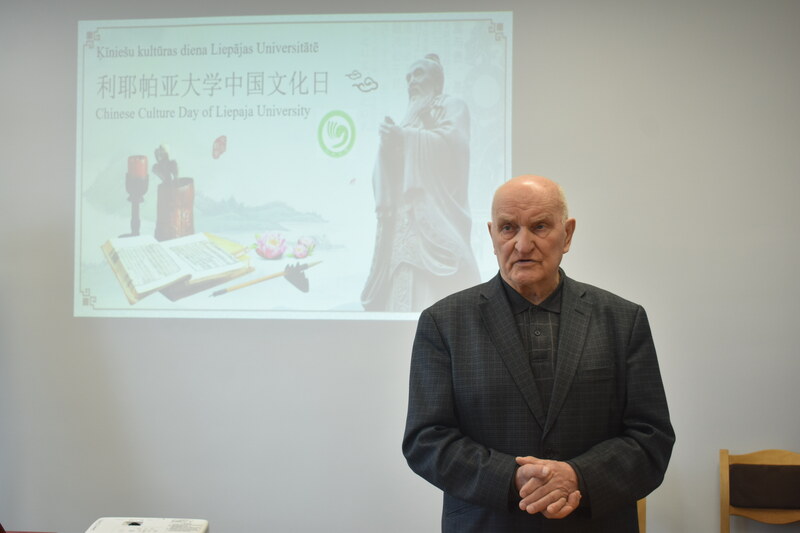 Liepaja University will officially set up a Chinese language course in September this year，and will become a teaching site of LUCI. 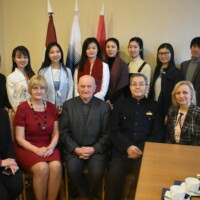 Director Dace Markus，Vice Director Māra Leltiņa , Dean of studies Jema Neimane，Secretary Viktorija Ņikitina warmly welcomed the arrival of the 10-member delegation of LUCI. Local time at 12:00，the activity began. The classroom was full of audience. 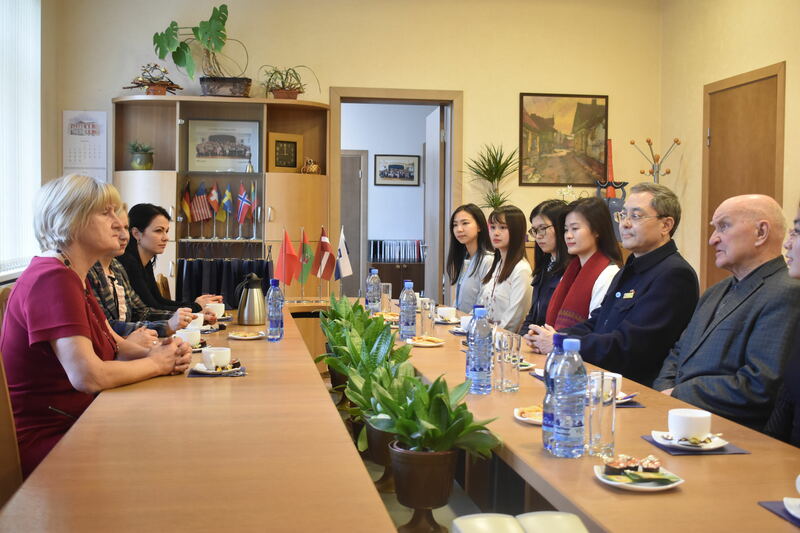 Professor Shang Quanyu and Professor Peteris Pildgovics, the Chinese and Latvian Directors of the LUCI firstly introduced the situation of Confucius Institute at the University of Latvia, as well as the Chinese Bridge Competition , Summer Camp, and scholarships, etc. They also showed the photos of the large-scale events and the teaching sites of LUCI. After that, the audience watched a video about summer camp. 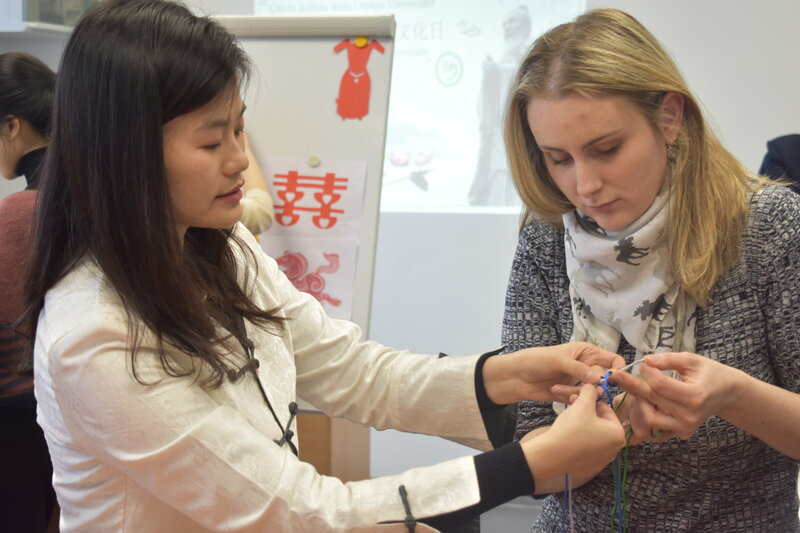 The audience were very interested in the upcoming Chinese language course and asked questions enthusiastically. 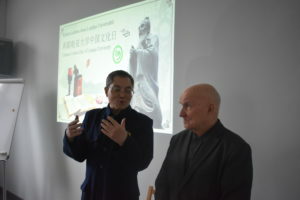 The two professors patiently and detailedly answered their questions. 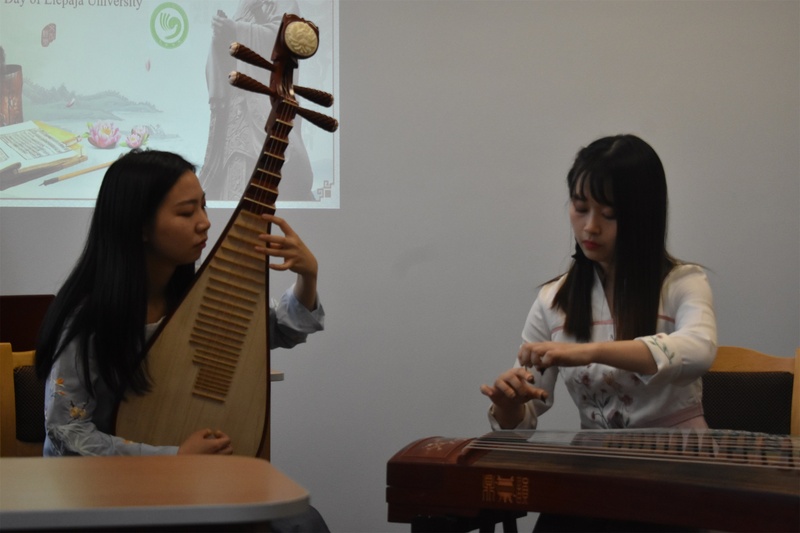 Then the volunteer teachers Liu Mengke and Zhu Yue, played the famous tunes “Liang Zhu” and “Spring Moon Night” with Guzheng and Pipa respectively. They also played “Blue and White Porcelain” together, and their performance won a round of applause. 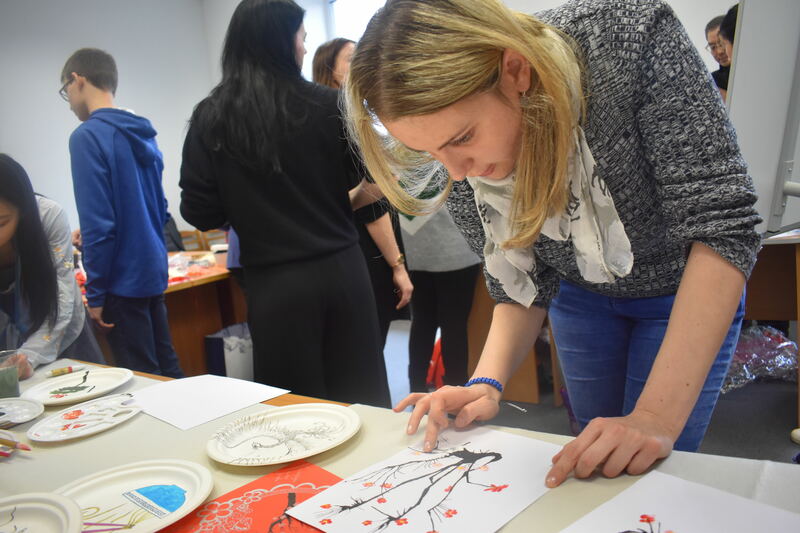 Subsequently, the teachers arranged four workshops for making Chinese knots, paper-cutting, blowing paint and blue-and-white porcelain plates. 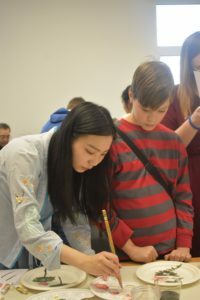 The audience participated in the activity and the atmosphere was very lively. 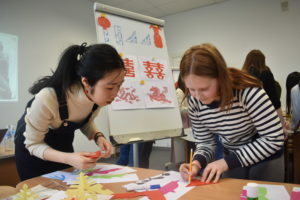 This is the first time that Liepaja held a large-scale Chinese cultural event. 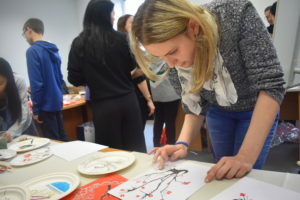 The Director of Liepaja University stated that the event was very successful and had a strong response. The Liepaja University will continue to vigorously publicize this event and attract more local people to learn Chinese.